You now have access to 12 other warehouses' inventories! That's right, if a part you need is in stock anywhere in the "family" (except Canada), we can transfer that part in for a flat rate shipping fee of $12.50 - size and weight limitations apply. Contact your REW salesperson for more details. What else can REW do for you? Stocking over 80% of the top selling hitches, 5th wheel hitches, wiring kits, adaptors, bike racks and accessories! Most hitches and accessories available within 48-72 hours - no incoming freight charges! Ask about our new Preferred Dealer Program! Check out the local manufacturers that we can pick up orders for you! Improve your store's image with a 4 color, multi-page flyer! Get an affordable cutting edge web site! NEXT DAY delivery throughout the Northeast! Order up to 4:30pm for Next Day Delivery (Eastern Time, weekday deliveries) via our courier service! Mirror polished finish fittings at an affordable price! Huge inventory of an fittings (blue, black and clear), hose ends (red/blue, black and clear) , stainless braided & black hose. Ask about our Preferred Dealer Program! 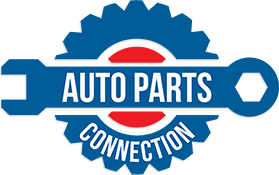 Auto Parts Connections - Sign up!